Begin massaging professionally and legally after successful completion of this course. Call today on 1300 150 494 and reserve your place. 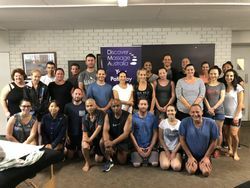 Why do our nationally recognised Whole Body Course? 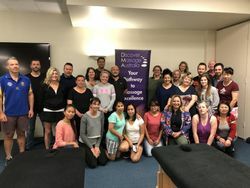 For only $595 you will receive the best practical hands-on comprehensive full-body massage therapy training course available. Discover a thorough massage system that guarantees fantastic results with every massage you will ever do! 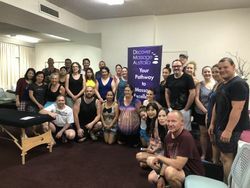 Learn a complete and thorough whole body massage system that will get you started in just one weekend. 1. A complete and thorough whole body massage and not just a few 'strokes'. 2. How to massage each body part as a series of sequences for best results. 3. Show you how to lengthen and relax your clients muscles. 4. How to use your own body (body weight) to provide a thorough massage, while avoiding injury yourself too. 5. The important contra-indications of massage so you can elevate clients properly before engaging in massage. 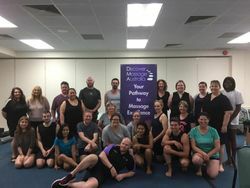 The Whole Body Massage Course gives you a thorough base massage technique to start your massage career with. 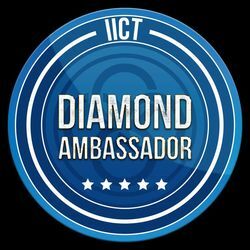 We see a large attrition rate in this industry. 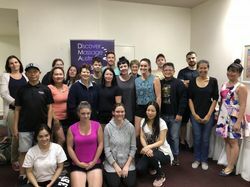 Discover Massage Australia wants you to succeed as a massage therapist. To go that extra yard for you we have included a bonus free online video - "3 mistakes a new massage therapist makes that will keep their practice empty and how to avoid them." 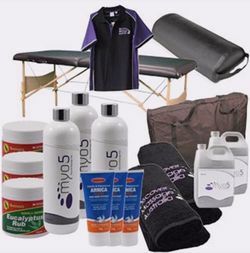 (valued at $100.00) Exclusive to Discover Massage Australia. 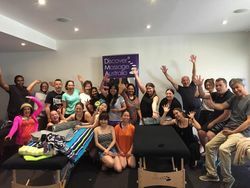 This is a complete full body massage training course where, between Saturday and Sunday, you'll be armed with all the skills to begin your own massage therapy business, help your family, friends or sporting club. 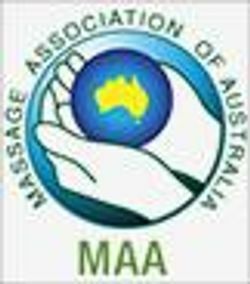 On successful completion of the Whole Body Course, you will qualify to join the Massage Association of Australia (MAA) and the IICT. You will then be eligible to obtain professional indemnity and public liability insurance to start practicing massage professionally. 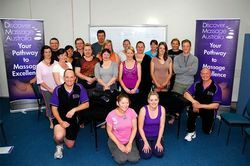 We run 65 Whole body Massage Courses per year nationally. This course is in demand. Why? 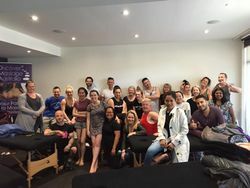 For over 20 years, we have been offering action-packed weekend massage courses giving our students an opportunity to gain the knowledge, skill and confidence to perform a confident full body massage. We will teach you a complete, thorough practical massaging system through a series of massage sequences for each body part. You will also practice appropriate draping techniques and how to position clients comfortably on the table. 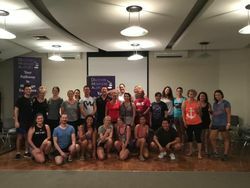 If you're considering offering massage in a business environment, you will also learn simple marketing techniques to rapidly build a client base for your practice or clinic, thereby accelerating your income. You will discover all the massage therapy skills you need to give both a quality and thorough relaxation massage. As mentioned above, we see a large attrition rate in this industry. We find good therapists not succeeding unfortunately as they don't know how to get clients. Therefore, we have gone that extra yard for you and included a bonus free online video - "3 mistakes a new massage therapist makes that will keep their practice empty and how to avoid them." (valued at $100.00) Exclusive to Discover Massage Australia. Can I start massaging professionally after this course? Yes. 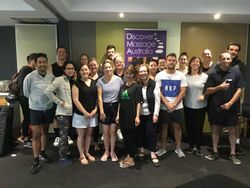 On successful completion of the nationally recognised DMA Whole Body Course, you will qualify to join the Massage Association of Australia (MAA) and the IICT. You will then be eligible to obtain professional indemnity and public liability insurance to start practicing massage professionally. To enrol in this course or to request more information, please call or 'Make an Enquiry' today! Please ensure you have read the FAQs, course dates and the course locations pages prior.